Today is my mum’s birthday. 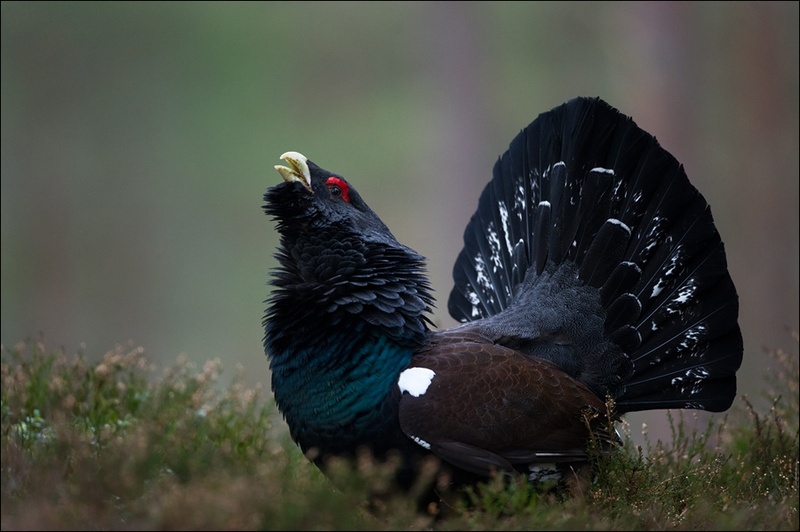 She was born in Scotland, so I am writing about a very cool Scottish bird called the western capercaillie. These amazing birds grow to over one metre long, with the males much larger and more brightly coloured than the females. They are the largest species of grouse in the world. At breeding times, males have very strange behaviour called lekking. They dance around with their tail up and wings down, making very weird noises that sound like coughs and bottle corks popping. The males are very aggressive during this time. Females lay 5-12 eggs in a nest on the ground and look after the chicks by themselves. They are able to fly after a couple of weeks. Western capercaillies eat berries, shoots, pine needles and seeds. The chicks mainly eat insects. These guys live in forests throughout Scandinavia, central Europe, northern Asia and Siberia. They became extinct in Scotland in the 18th Century and were reintroduced 100 years later. There are possibly only about 1000 left in Scotland, although they are more common in other parts of their range. Are there any other interesting facts that you would like to share about western capercaillies? i just want to say thank you for your nice blog. i love animals and informations about them, and will definitely come back => bookmarked. greetings!